Pictured, from left, are Cassie, Eric, Krista, Cindie, Melvin and Jackie Allscheid with Aaron, Karla, Josie and Callie Metzger. 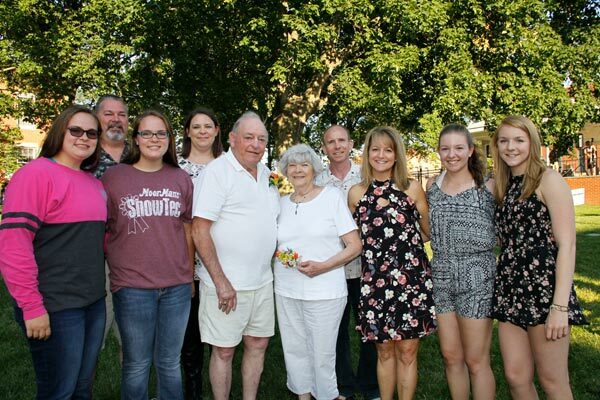 Melvin and Jackie celebrated their 50th wedding anniversary on Sunday with dinner at JV’s Downtown Bar & Grill and the Sunday concert on the courthouse square. Jackie saved her wedding cake topper for all of these years. She opened it Sunday night and actually took a bite of it.